This tent is the jam. Man, I love this tent. The storage space inside is something that really comes into play for extended stays and not only for yourself, but plenty of storage for another. Two big vestibules for outside storage, and the vertical walls give the tent a very spacious feel. This tent is easily capable of accommodating two people comfortably with a good amount of gear. If things get too warm or you're looking to reduce condensation, the venting options are numerous. With double sided doors and interior vents, ventilation is not a problem. 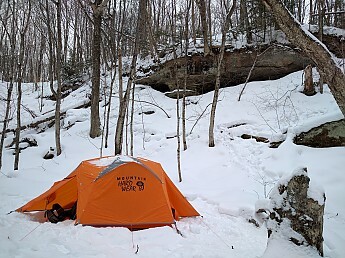 Just bought this tent last week for late fall, winter and early spring camping/backpacking and finally got a chance to use it this weekend on a short trip. I originally was looking at the Marmot Thor 2 and the MSR Elbowroom but I found this at my local shop on sale and decided to go with it instead. This is probably the nicest tent I have ever owned both in quality and ease of use. I live and camp mainly in Ohio so it can get cold and wet which it did on my first hike with it. We had a good burst of rain and then it dipped down into the twenties at night. 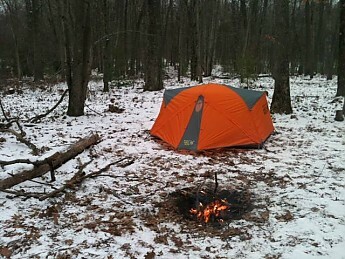 I'm glad to say that I stayed bone dry and warm all night. The tent seemed to ventilate quite well and I only had a little bit of condensation on the lower side wall (orange) where there is still 70d Tafeta. 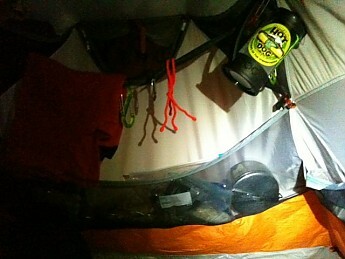 Other then that there was no condensation on the inside of the tent or on the rainfly when I woke up. 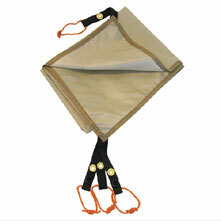 The tent is easy to set up with one person and worked well with the matching footprint. Both vestibules are large enough for gear along with all the storage pockets on the inside really helped out for food, flashlights and other small pieces of gear with out the need for an overhead gear loft. The Taurine 2 has excellent head room at each end and at the doors (makes it nice when there is two of you, you can sit, face each other and play cards or eat comfortably), makes good use of a "dome" design. 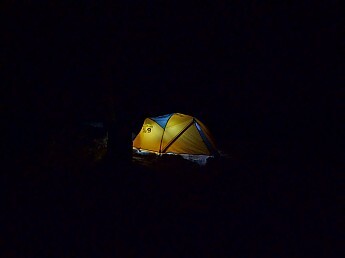 Having said that, my personal opinion is that the tent really isn't a super roomy "2 man" tent, rather a very comfortable/spacious 1 man. 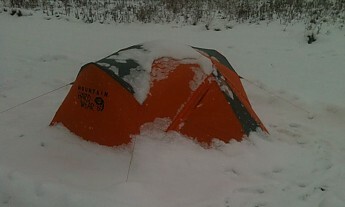 With its narrow footprint I could see it getting a little cramped while winter camping with 2 people and gear. 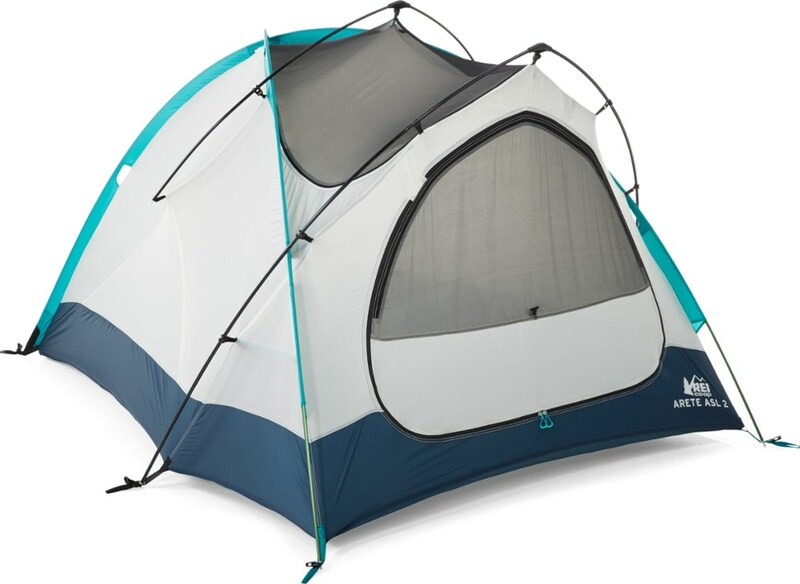 I'm sure if you were car camping or summer camping this tent would be perfect for two people, thought I don't know about the ventilation in the summer time. The tent is a little heavy for one person to haul though I managed quite well with my 65L pack, again just a little on the heavy side and it would have been nice to split the load. All and all this is by far the best tent I've had the pleasure of owning, very versatile, roomy and strong. 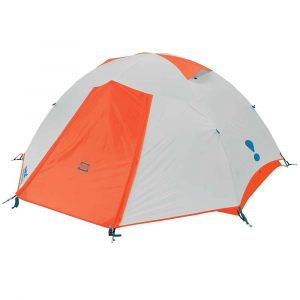 You also have the option of just carrying the rainfly, poles and footprint and making a solid, basic shelter with the pitchlight feature. The tent did everything the manufacturer and reviews said it would, I'm very happy with my purchase and look forward to future trips with it. This is an awesome tent. 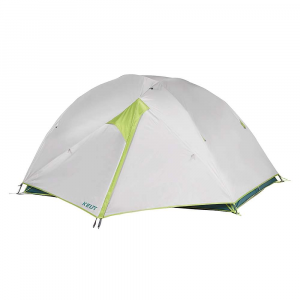 I used it brand new just after i got on a 7 day backpacking trip in southwestern Colorado and it rained 2 days straight and no leaks the stakes that hold it down can be a newsense while getting out of the tent but you get used to it. but otherwise the best tent i ever owned. The Taurine 2 has been discontinued. 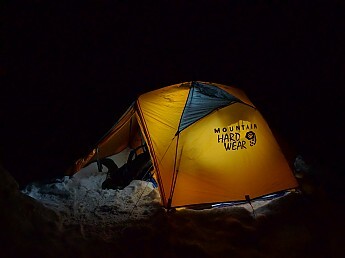 The Mountain Hardwear Taurine 2 is not available from the stores we monitor. It was last seen January 15, 2013	at Mountain Gear.